Proven high-reliability, unmatched warranty ! At Labelmate, we do not settle for “good enough”. We strive to make the best products, with high quality components, ensuring your Labelmate product will perform for many years. Our unmatched Warranty Program makes this statement tangible ! The warranty period for all products starts on the date purchased by the original end-user customer. Warranty coverage is not transferable with ownership and will terminate immediately upon rental, resale or any other change in ownership. This warranty does not cover repair to any product which is damaged, has been modified, is missing parts, or has been opened or repaired by any unauthorised person. Use of any unauthorised accessory or attachment will void coverage. Purchase documentation should be retained for coverage verification. In the event your product requires service, please contact your Labelmate Business Partner. The customer assumes responsibility for all cost and risk incurred in transport for service. Labelmate makes no other warranty of any kind expressed or implied, or to suitability or fitness for a particular purpose. 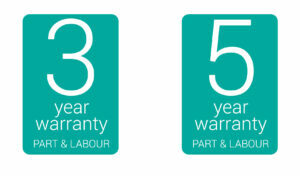 No other person, agent or reseller is authorised to give any warranties on behalf of Labelmate. Any obligation to warranty other than that specifically addressed above is hereby disclaimed.